One of my favorite aspects of the Holiday season has to be the music. Growing up my father would take me to see The Nutcracker Ballet. Hearing Tchaikovsky’s suite for the ballet instantly puts me into the Christmas spirit and brings back wonderful memories. Statue.com’s Composer and Musician Busts are an exquisite visual tribute to the composers and musicians that fill our hearts with joy and transcend our minds to a different time and place. The vast selection includes Franz Schubert, Robert Schumann, Gustav Mahler, and Richard Wagner. However, the most notable composers in our collection is definitely Ludwig Van Beethoven and Wolfgang Amadeus Mozart. Whether you are a budding musician or the composers and musicians fill your heart with joy, the busts of these great artists will be a perfect addition to any collection. Head on over to Statue.com to see our entire gallery of Composer and Musician Bust. If you have something in mind but cannot find it on the website, feel free to contact us. Our excellent products coupled with our outstanding customer service ensures Statue.com is the best business for statuary and other fine goods. Hello Statue.com friends! Did you know today is Albert Einstein’s birthday? I just realized his birthday falls on 3.14, international Pi day. It is quite interesting, one of history’s greatest physicist’s birthday falls on the day honoring one of the most studied mathematical constants. The bust of Albert is a great reminder of his genius and contributions to math and science year around. Be sure to head on over to our website to view our fine gallery of sculptures, fountains and garden accessories. If you have something in mind but cannot find it on the website, feel free to contact us. Our excellent products coupled with our outstanding customer service ensures Statue.com is the best business for statuary and other fine goods. Tomorrow marks George Washington’s birthday. It is also recognized as Presidents day here in the United States. It serves as day to remember the sacrifice and honor the brave men that have led the nation from the Oval Office. As apparent by the before and after appearances of past presidents, the role as Commander and Chief is not for the faint of heart. Sure, the day off work is nice but we truly believe it is important to remember and honor these sacrifices of these brave men. Not only remember these men for one day, but year around. For this reason we are proud to include a wealth of presidential, portrait and full length sculptures. From the current United States President, Barack Obama to the first United States President, George Washington the United States Presidents are well represented within our gallery. 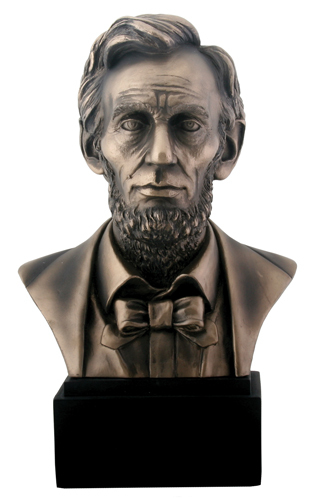 Our busts are museum grade quality, perfect for a professional library or to to exhibit patriotism and deference for history at home. The portrait busts from this gallery assure an honorable display. Who was your favorite president? Does your family do something special to honor him? Be sure to head on over to our website to view our fine gallery. Statue.com’s co-founder Gloria has been around statuary a long, long time. Me? I confess, I am sort of a newbie. The more I research and read about the history of statuary for blogs, the more I learn just how integral statuary is to history. Take for example the Egyptian Queen Nefertiti’s Bust, without this sculpture we would not have a three-dimensional idea of her appearance. 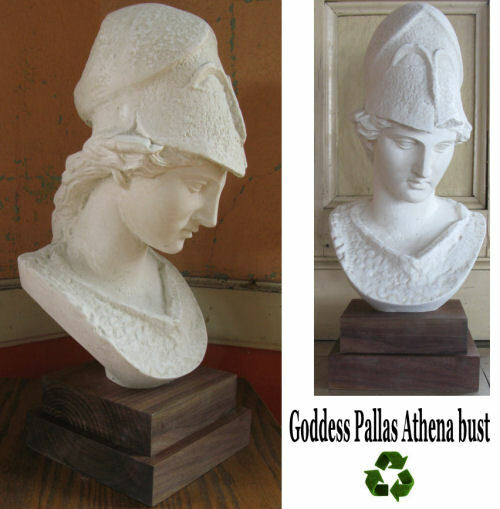 Sure, there are hieroglyphics and other carvings giving a brief glimpse of her existence but it is this bust that gives us a remarkable look at this historical woman. A strong neckline and pointed features are caught in the sculpture as a moment in time; making her personable but also regal. 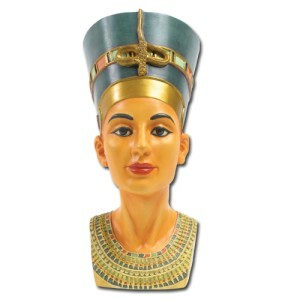 Little is known about the Egyptian Queen, however her bust has been one of the most recreated pieces of Egyptian art. This is a testament of the importance and beauty of this piece. How cool that you can bring a replica of a work-of-art that existed over three-thousand years ago into your home for every day appreciation? 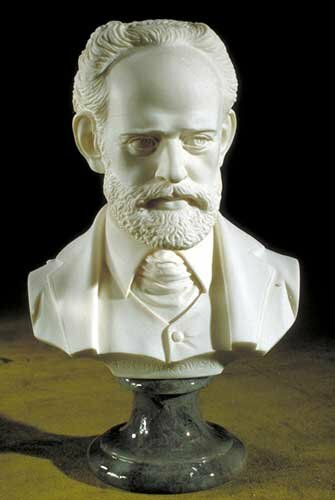 The busts of great music composers are another example of capturing a face in time. 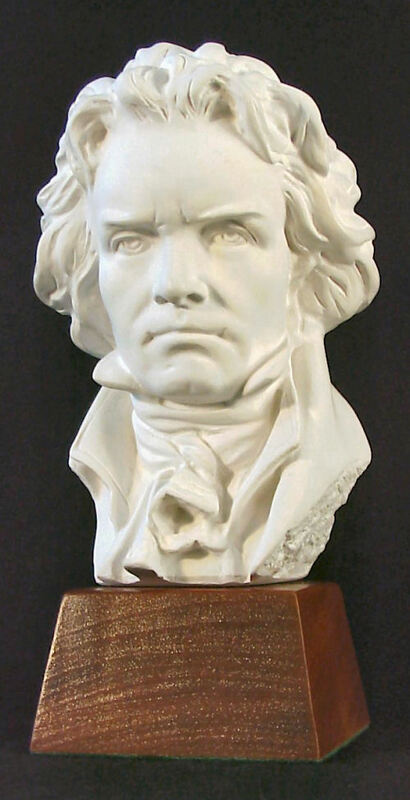 I found it interesting the use of a ‘life mask’ was used in creating one of the most famous Beethoven’s bust. This method captures the intensity of the famous musician. From the bust you can see his wild hair, furrowed eyebrows and stern expression. It appears as though Beethoven is contemplating his next masterpiece nearly two-hundred years after his existence. Of course Beethoven’s music lives on but so does his presence thanks in part to this sculpture. Presidential Busts are another example of using sculpture to capture time. The Abraham Lincoln Presidential Museum in Springfield, Illinois has a series of busts through his tenure as president. It is particularly interesting and apparent the stress that weighed on President Lincoln through the course of his term. Bags under his eyes, increasing wrinkles, the weight of the world was on his shoulders, all captured through sculpture. The change in appearance is true for all presidents but Lincoln’s example is exceptional. 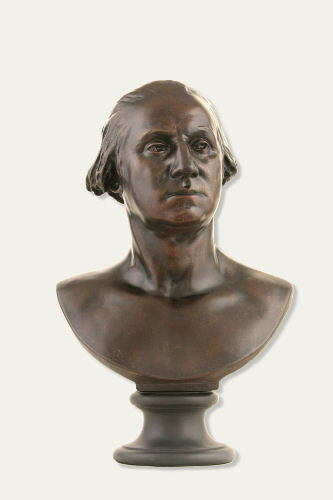 These busts are not exclusive to museums, Statue.com offers a fine gallery of presidential busts. To view our gallery of fine statuary, head on over to our website http://www.statue.com. If you have something in mind but cannot find it on the website feel free to contact us.